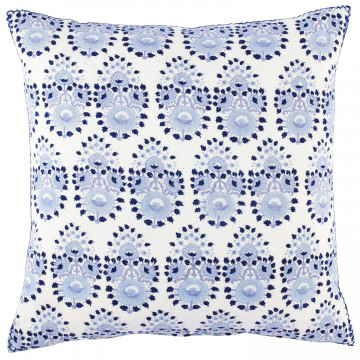 Designer pillows can transform a pocket-sized space but if your budget is as slim as your little nest, here’s how to get that designer look for less. 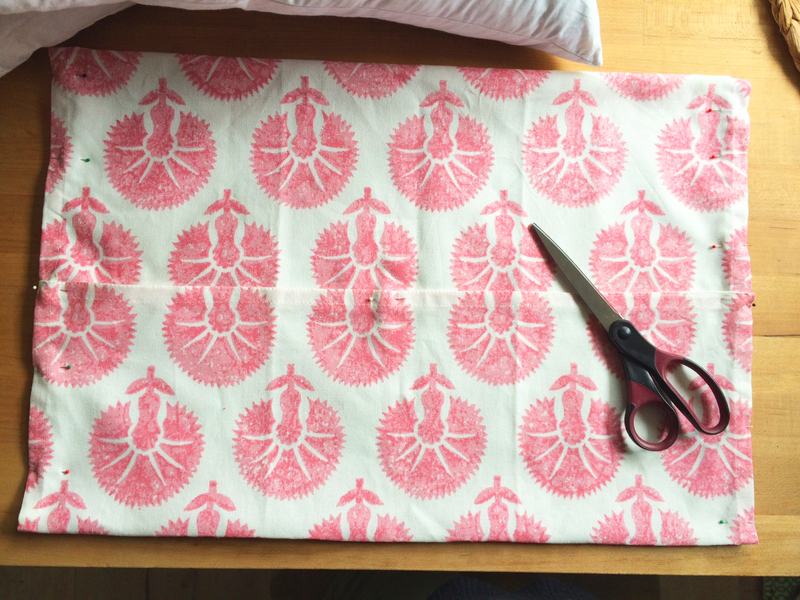 It only takes a little DIY to make a custom pillow unique to your space. 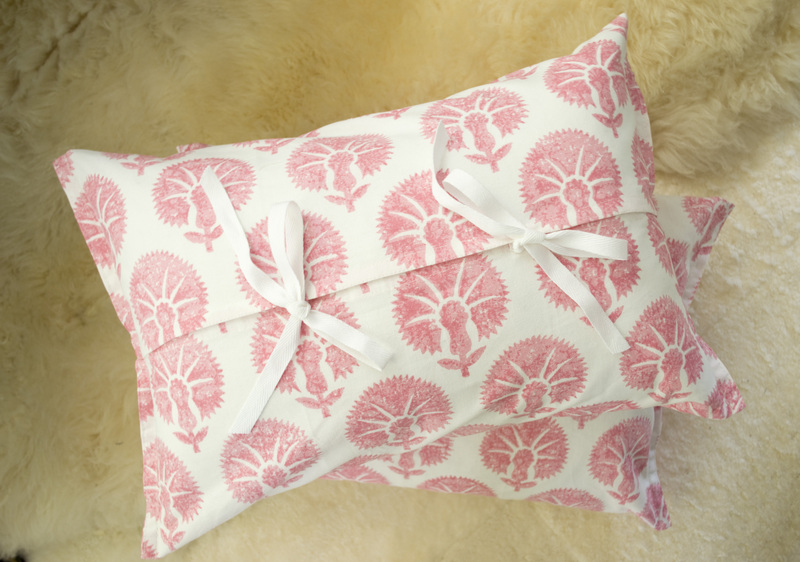 Block print pillows by John Robshaw are front and center on my design inspiration board but one tossed pillow runs between $115-175. I discovered that kitchen towels, napkins and placemats are perfectly sized to cover standard pillow forms without much sewing involved. 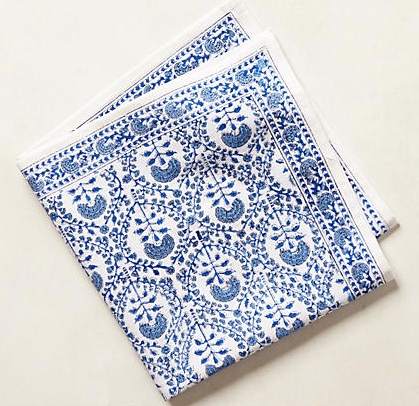 These blue and white, block-printed cotton napkins measure 20×20″ and fit a 20″ pillow form I already had. Just sew 3 sides and attach ribbons to tie the open seam closed. The napkins are from houzz.com and come as a set of 4 for $30. 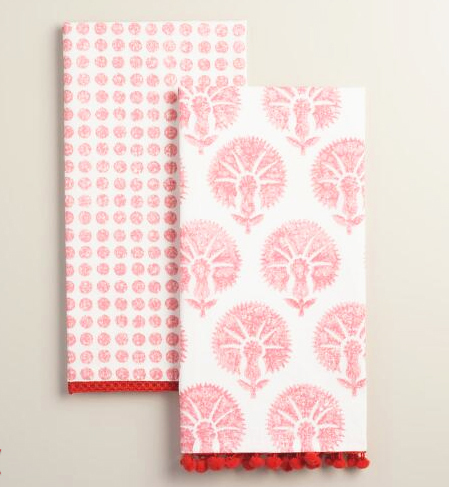 Coral block print kitchen towels from WorldMarket.com are sold as a set of 2 for $8.98 and were just the color I needed in the living room. The towel measures 20×26″ and fits a 14×20″ pillow insert using an envelope style cover. Carefully remove the pom-pom trim and save for another project. Fold the 26″ side of the towel in half and press the seam. Drape the towel over the pillow form and place the fold so it is at the center of the form. Next, continue to pull the fabric towards the back so the two ends overlap. Pin the 2 sides closed, leaving the center flap open. Attach ribbons to tie the pillow case closed. 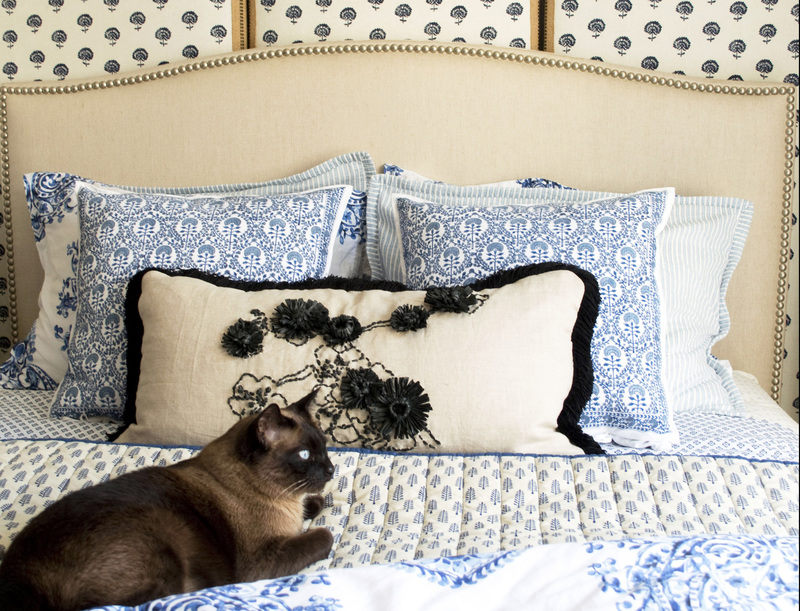 Once you tackle this project, why not try felt appliqué pillows for the bedroom? Take a peek. Enjoy!